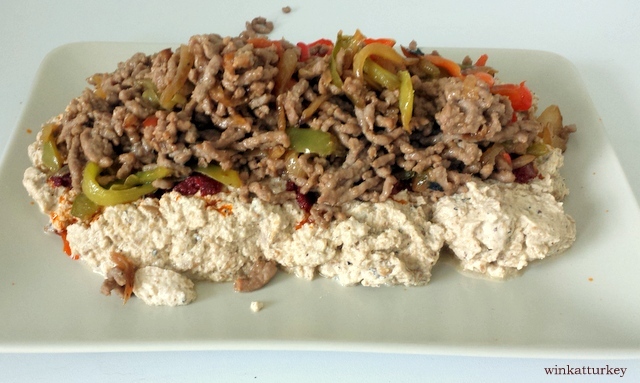 -500 gr minced meat of veal. -2 suzme tablespoons yogurt, natural Greek is the closest. 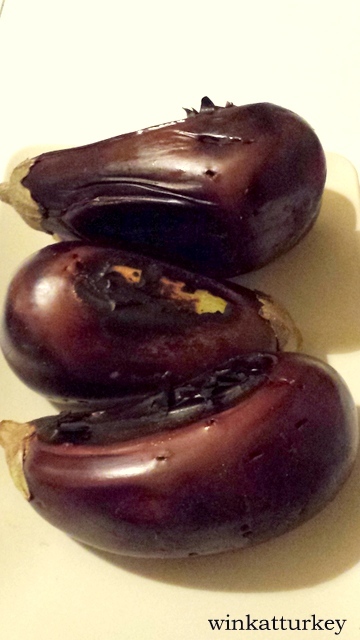 We pierce the eggplants with a fork in several places and brown them on a grill or in the oven. The skin will have to be toast because this is what will give the smoky flavor that the dish has. Remove the skin and emptied inside, it must have been soft, and chop into small pieces or chop as preferences. 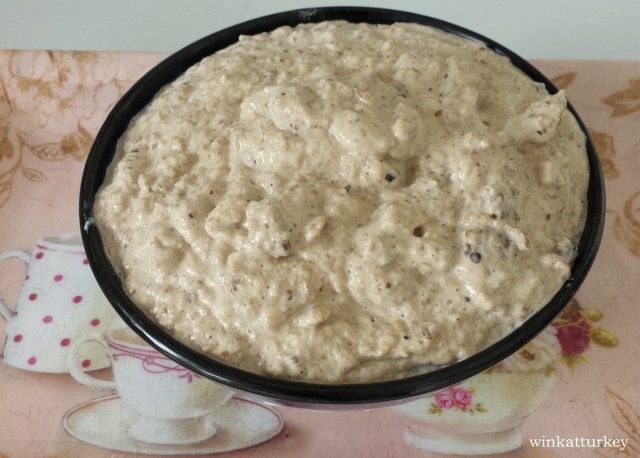 In a bowl mix yogurt (3 or 4) with garlic cloves. The best, crush everything together so well blended. 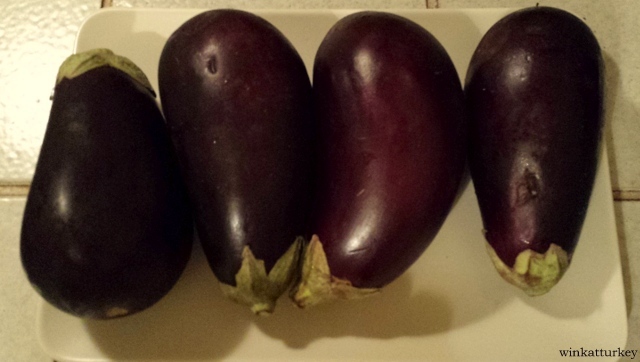 Now we add the chopped eggplant and mix well. Reserve in the refrigerator until just before serving. In a pan with a little oil fry the chopped onion until it begins to brown . 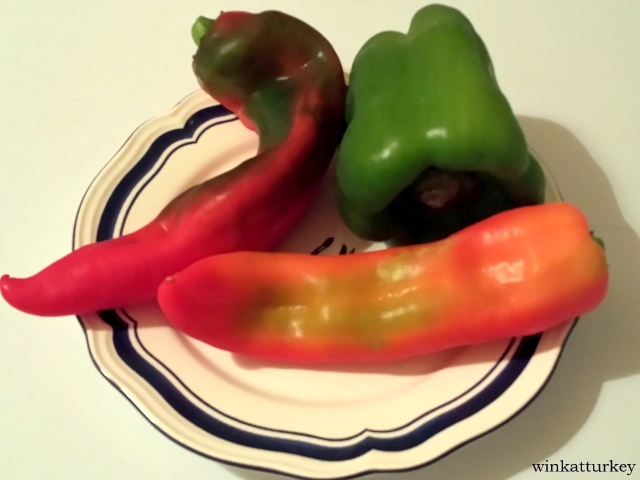 Add the bell pepper cut into small strips and all together a few minutes sofreimos. 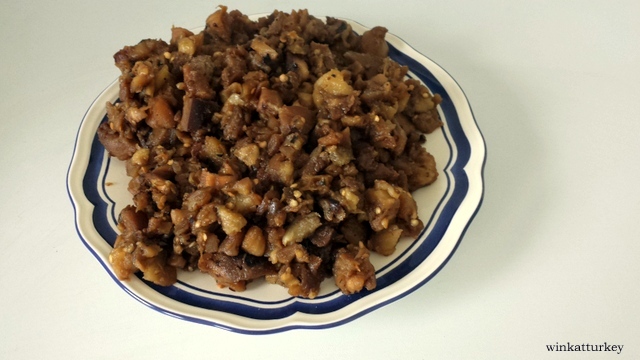 Pour the minced meat and spices and stir all well and keeps heat until the meat is cooked chopped. We heat a small pan with a little oil and when it is hot we take the 2 tablespoons of tomato paste or “domates salçasi”.It is roasted for a couple of minutes. Everything is ready to serve, in a bowl or plate will base the eggplant with yogurt cream, above it and ketchup all over meat with vegetables. 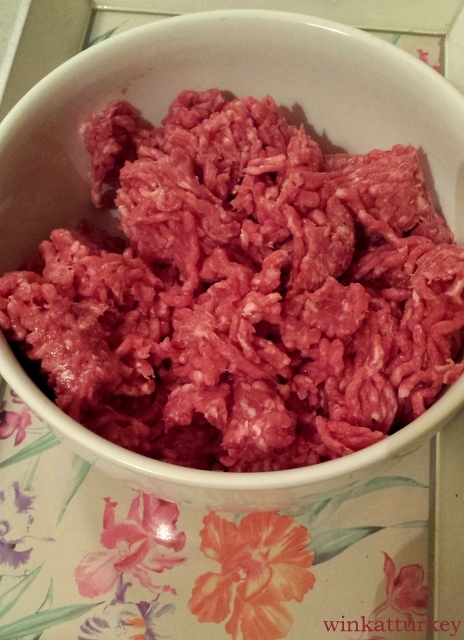 You can substitute ground beef by small pieces of beef or lamb. I'm glad you liked it. Indeed everyone should adjust the amount of garlic as you like strong food.